This pub was voted one of the best in Maida Vale by Londonist readers. Thank the pub gods for the Warwick Castle. Everywhere you turn in this part of town old boozers are turning into gastropubs or, in the case of the long-defunct Crocker's Folly, really snazzy restaurants. The Warwick, though, is a friendly throwback to another era. 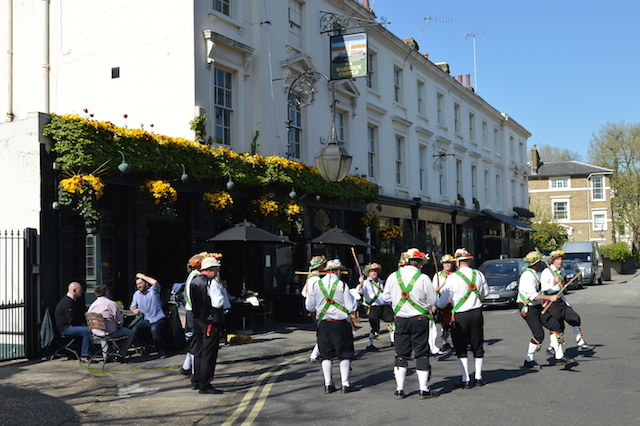 We turn into its quiet, backstreet location almost expecting to see Morris dancers... and, lo, there they are, clip-clopping away with their janglesome knees and ineffectual truncheons. 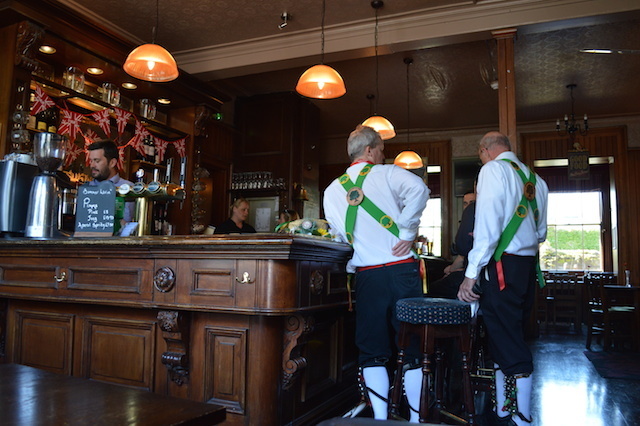 They follow us into the pub and start a good-old singalong. This is Zone 1 London as you rarely see it. Inside, it's all wooden panels and subtle stained glass. It hasn't changed a bit since our last visit half a decade ago. It probably hasn't changed a bit from half a century ago. Little much to report on the food and drink front... thoroughly decent, but nothing remarkable.